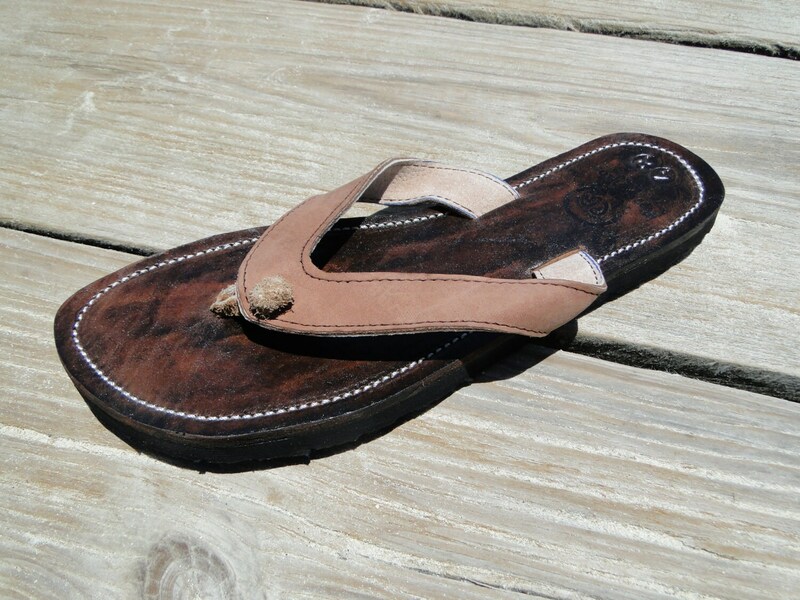 Handcrafted Honduran Genuine Leather Flip-Flops. Another beautiful model from Pies Bonitos, a fair trade leather cooperative in Honduras providing living wages to impoverished artisans. Your purchase helps support hard working artisans rise out of poverty. Thank you for your support. You have never owned sandals like these before. The leather in the sole is THICK. It is the same leather that is used to make horse saddles. It will quickly soften and form to the shape of your foot, giving you a custom made feel. These will quickly become your favorite sandals. Our sandals are handmade one pair at a time. Every pair is made by hand. The leather is cut with hand tools. The only machine that we use is a vintage 1940's Singer sewing machine to sew the decorative thread and sew the double layers of leather together to make the durable strap. The leather will have some natural markings and slight variations which add to the character. 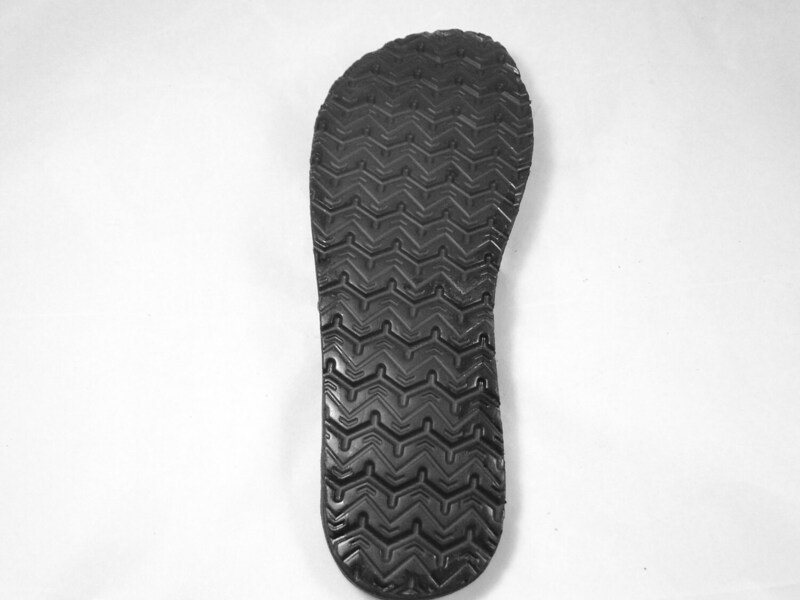 The rubber sole is made through a process using recycled tires. 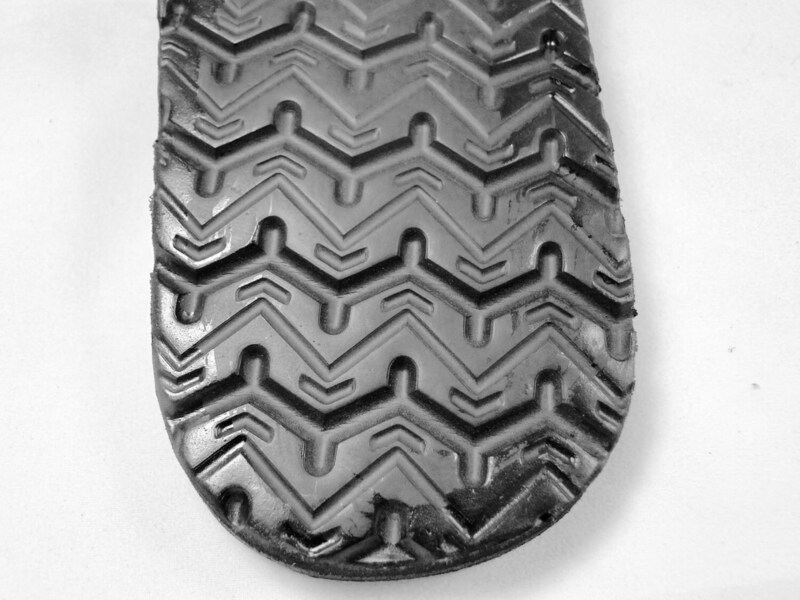 The recycled rubber powder is blended with new rubber material and pressed into a long lasting but lightweight outsole that you can feel good about. 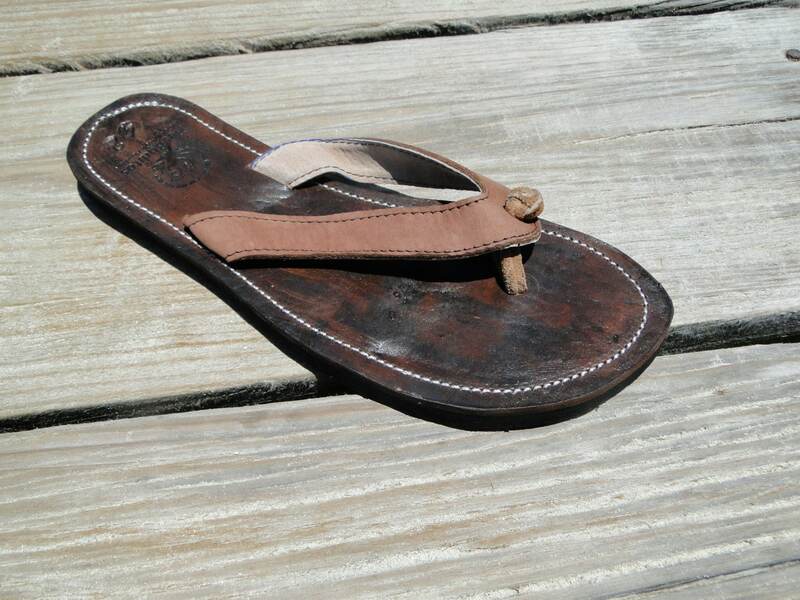 These sandals were designed by us on the island of Roatan in the Western Caribbean. They are made for island living and casual lifestyles. Our sandals feature Honduran leather and your purchase is providing work to impoverished artisans and leather crafters who put a great deal of pride into their work and are paid living wages. Pies Bonitos follows Fair Trade practices so you can feel good about your purchase. The Spanish words "Pies Bonitos" translate to "Beautiful Feet" in English. If you wear a half size, please select the next size up to insure a good fit. These are genuine leather sandals and they will form to your feet giving you a custom made feel. The sandals are marked with European sizes. 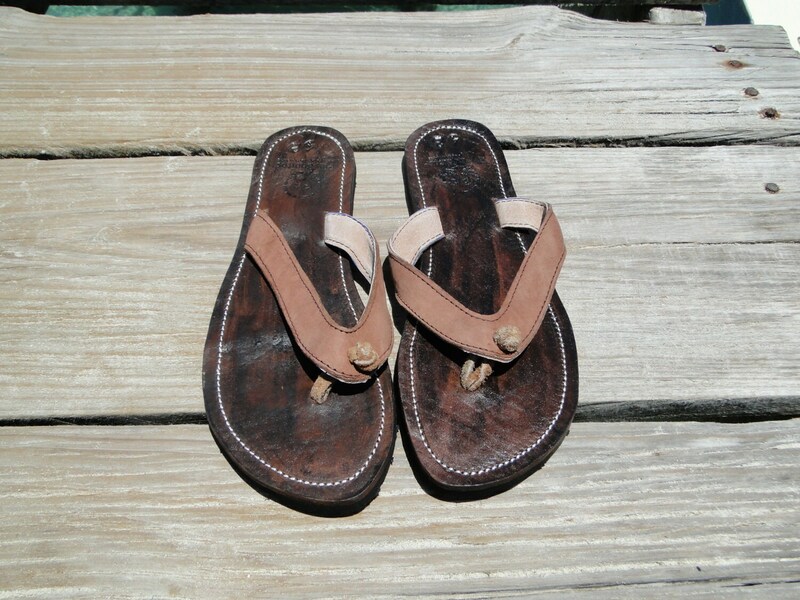 We make women's sandals in 4 lengths corresponding to European Sizes 36, 38, 40, and 42. Please select your US size when you order and we will send the correctly sized sandals to you. If you need help with a shoe size conversion, please message us and we would be happy to help you select the correct size. Please allow 2-4 weeks for delivery to the United States and Canada and slightly longer for worldwide deliveries. All of our sandals are handmade especially for you. Please allow 3 business days for us to make your order and ship it to you. We accept all major credit cards through the checkout system. In addition, we also accept Paypal. No Hassle Returns or Exchanges accepted within 30 days. We even offer a USA address for returns to expedite the process. We appreciate your business and your support for our Fair Trade leather workshop providing living wage jobs for impoverished artisans. You will receive a HIGH QUALITY product that you will be proud to own. Thank you for your support. Please select your U.S. size and we will send your the correct size sandals.